The Saxony Economic Development Corporation assists and accompanies domestic and foreign investors from the initial idea all the way to the implementation of their business setup or expansion project. In cooperation with regional and national economic development agencies, interest groups of Saxony´s business community, Saxony´s State Government as well as many other stakeholders, we are supporting companies with regard to their investment plans. There are many good reasons why the region in the heart of Europe is a top location for such companies as Volkswagen, BMW and Porsche, Infineon and GLOBALFOUNDRIES, DHL, or NILES-SIMMONS-HEGENSCHEIDT. Intensifying the cooperation with Saxony’s networks, research facilities, and universities to encourage business founders from Germany and abroad to come and found their business in Saxony and to generate growth. 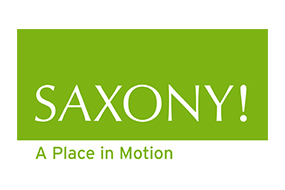 Saxony sets business transactions in motion.